The $249 Fluance RT81 is one of two new turntables that make up Canadian manufacturer Fluance’s entry into the turntable market. A less expensive turntable, the $199 Fluance RT80 turntable, is also available but is not as finely finished and has a lower quality cartridge. The turntable is made in China. The Fluance RT81 is a study of opposites in this regard. The polished wood plinth is absolutely gorgeous and looks quite expensive. There isn’t anything remotely close to it under $500, and it clearly wins the affordable turntable beauty contest. You will be very proud to see it sitting on your equipment rack. If aesthetics are your #1 priority, this is your turntable. In stark contrast, the tonearm feels lightweight and a little bit cheap. The matte finish is not terribly impressive, either. Perhaps I am making it sound worse than it really is, and it is definitely better than the tonearm on the U-Turn Orbit. Perhaps the fact that the plinth is so beautiful makes the tonearm feel a little out of place. 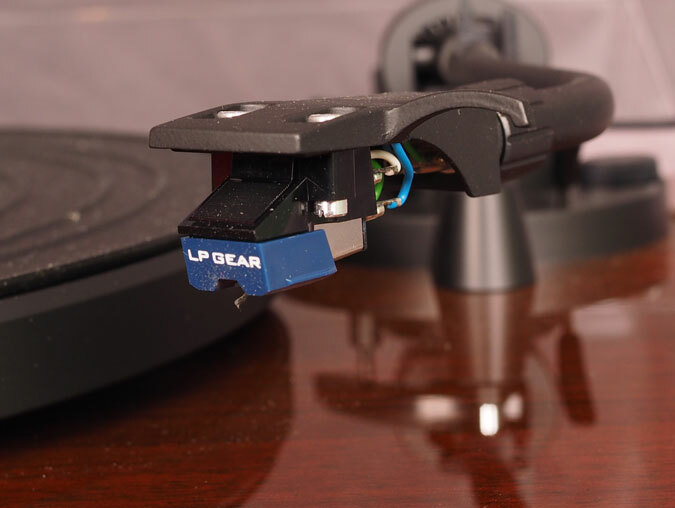 The tonearm has a removable headshell, making it easy to mount or change cartridges. 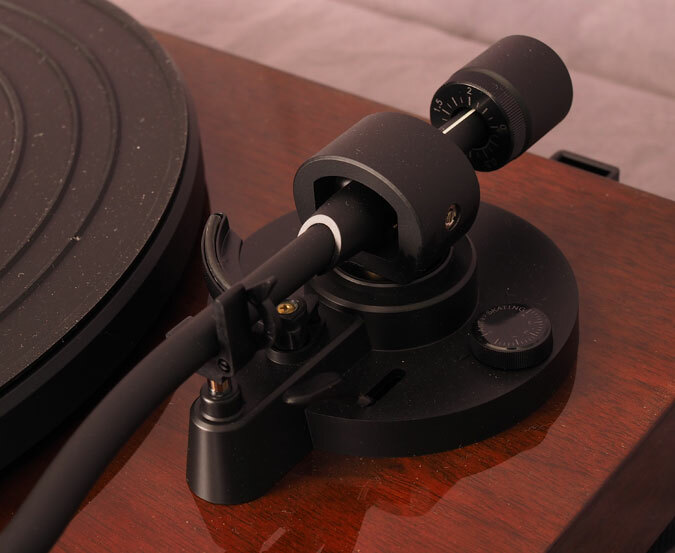 The metal platter shares the finish of the tonearm and has a ribbed rubber mat. A hinged dustcover is included. The turntable can switch between 33 and 45 rpm with the on-off switch, a nice touch not normally found on budget belt drive turntables, which require you to change the belt on the motor spindle. 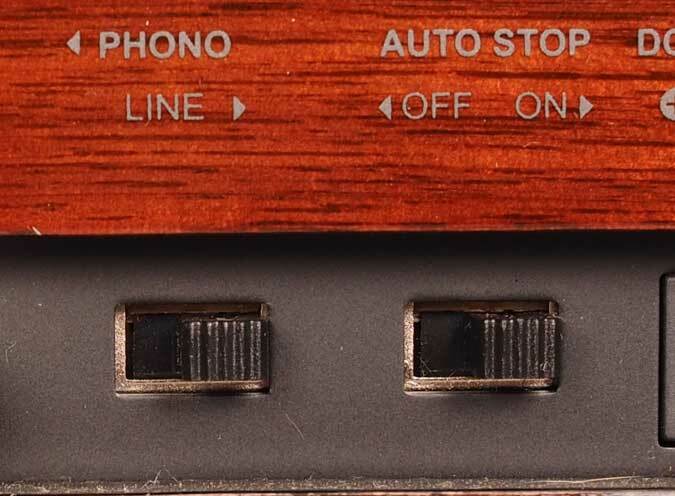 Another nice touch is Auto Stop, which stops the platter spinning at the end of the record. There have been some user reports posted online where the purchasers received a turntable with a wobbly platter. One customer received a second unit with a platter that wobbled after returning the first one. I did not encounter this problem and my test sample rotated smoothly and evenly, with no operational issues present. My only real gripe was operating the tonearm with the cuing lever. There was not much feedback or resistance when raising or lowering the tonearm. It worked just fine, but there was no tactile feedback and it was like moving something that was not attached to anything. The Fluance RT81 includes a pre-mounted Audio-Technica AT95E cartridge. This is a good cartridge for starting out. The cartridge is easily upgraded with a different stylus such as the $49 LP Gear CARBON FIDELITY CFN95SE stylus. Just slide off the stylus and slide on the new one. 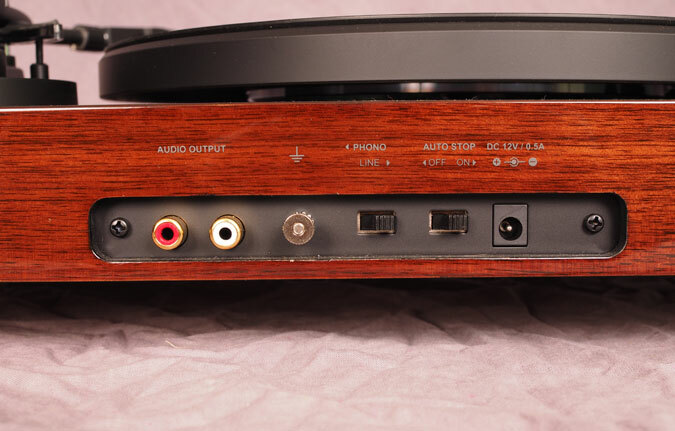 A switchable moving magnet phono preamp is built into the turntable. Sound quality was fine in normal use, but I did get better sound when I switched to an external phono preamp, even a modest one like the Pro-ject Phono Box DC or the Pro-ject Phono Box USB. Still, I think the cartridge is the weak part of the chain and suggest upgrading the cartridge before you upgrade the phono preamp. The RT81 makes a good platform for the AT95E. I don’t think I have heard the cartridge sound better than it does on this turntable. Backgrounds are reasonably quiet, with just a little bit of rumble present on quiet spots of the record. Tracking of dynamic passages is handled well, and there is good detail with that characteristic vinyl warmth. I think the cartridge is the limitation and I will be trying the RT81 with other cartridges in the future, including my budget favorite The Vessel A3SE from LP Gear. It is only $99, or $138 mounted in a headshell and ready to go. Hear the RT81 for yourself by downloading the file below, recorded with a Pro-ject USB Phono Box and the phono output of the RT81. 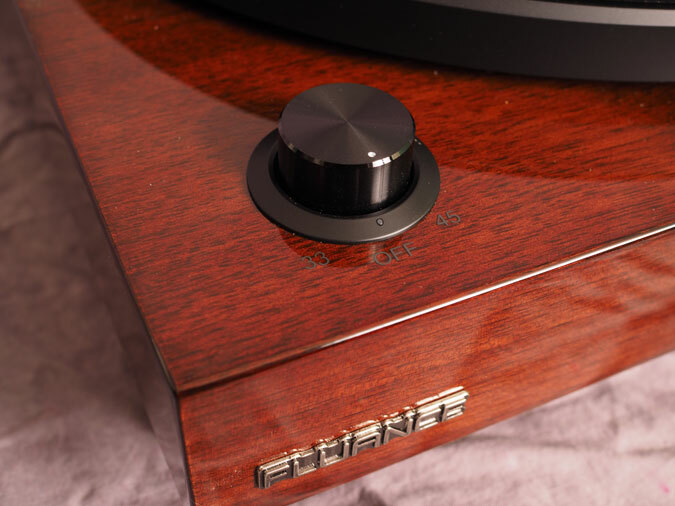 Fluance has made a name for themselves because of their value equation, offering good looking, good sounding equipment that is within the reach of almost anyone. The company is run by audiophiles who really care about and love what they do, and it shows because I haven’t heard a single product from them that didn’t have pleasing, accurate sound that doesn’t offend with loose, boomy bass or shrill, bright treble. 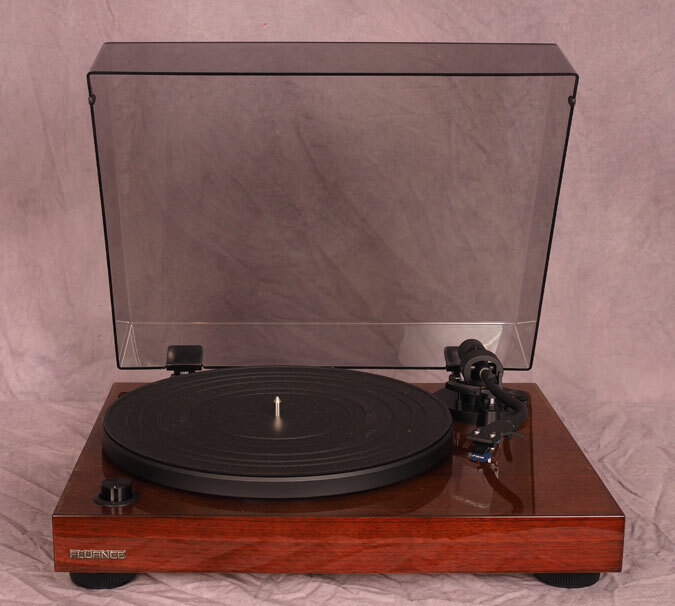 There is definitely value here, in this honest, simple turntable that performs very well and goes above and beyond with the fantastic wood base. Fluance could have used ordinary materials while charging the same price and still have had a winner, but they went above and beyond and are to be commended for that. The most logical competitor is the Audio-Technica AT-LP120-USB (LP120) which sells for $250-$299 and shares the same AT95E cartridge. The direct drive LP120 has a USB Port for transferring records to a computer, a feature the Fluance RT81 lacks. With the standard AT95E cartridge, I prefer the Fluance RT81. Backgrounds are quieter in the sound is a little purer, a little bit richer. 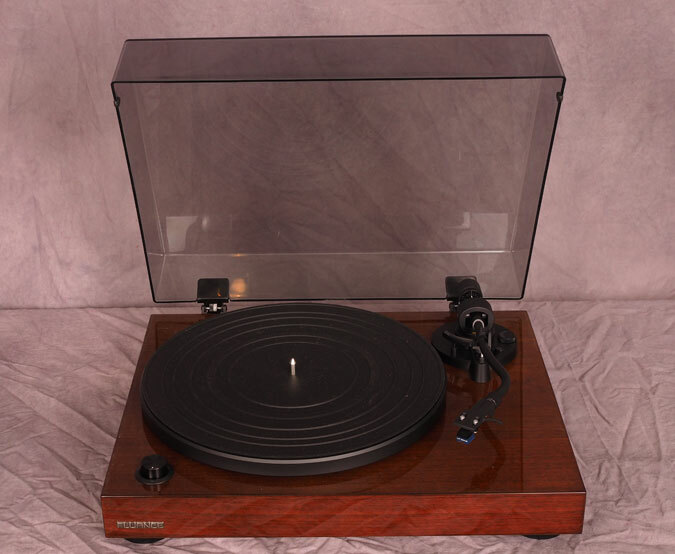 If the LP120 is upgraded with the LP Gear The Vessel A3SE, would give the nod to the LP120, but then you were looking at $100 more then the Fluance. Of course, an RT81 with the A3SE upgrade would run the same $350, so at that point you have to decide if you want belt drive or direct drive, and if built-in USB is important to you. The Fluance RT 81 is the best belt-drive turntable you can buy for $250 or less, and perhaps the best turntable under $250, period. The sound quality is more than competitive with other affordable turntables, and the looks are absolutely unmatched. With a higher quality tonearm and platter it would be unbeatable. Perhaps we will see such an upgrade someday in the future in the likes of an RT81 Mk. 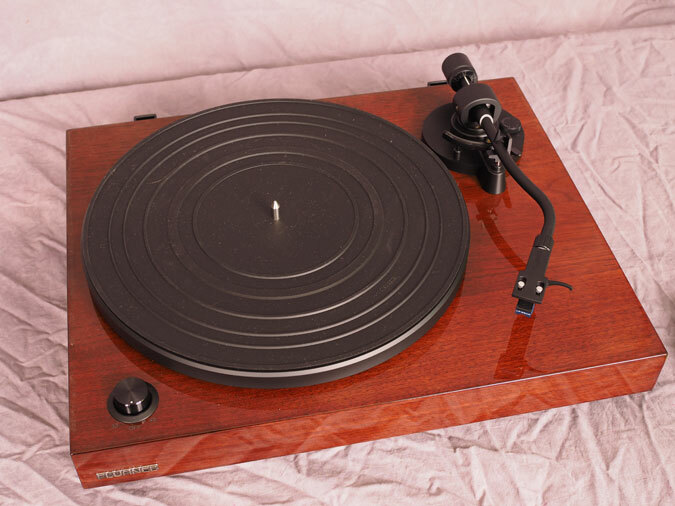 II, or some other similarly named evolution of this excellent entry-level turntable. Author’s note: I spend dozens of hours every week, as well as many thousands of dollars every year, publishing my websites and testing and writing about electronics. My goal is to help you find the best products, best values and best deals, and this is very much a labor of love for me. If you wish to purchase this turntable please consider supporting my efforts by using my Amazon links. Not all of the products will have them, for example LP Gear does not have an affiliate and their cartridge is not on Amazon, but I recommend their The Vessel A3SE cartridge all the time because it simply is the best $99 cartridge going, by far. 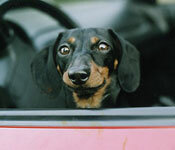 Rest assured I will always recommend the best products, whether there is an affiliate relationship or not.